Traditional Chinese Medicine recognises a 5th season called Late Summer. Lasting around a month, most of us know this season as a time of harvest. This season corresponds to the element of Earth and is a point of stillness in the cycle of the seasons. 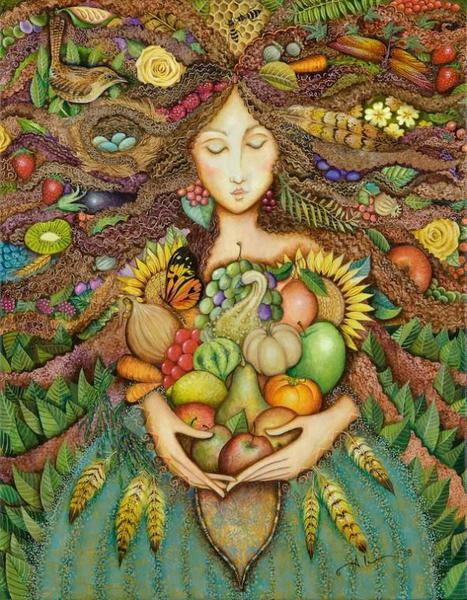 As we transition from the Yang (outward) energy of summer to the Yin (inward) energy of autumn and winter, we reap the nourishing bounty of the harvest and we are offered an opportunity to pause, assimilate and contemplate at every level of our being. Yoga Nidra: A 40 minute deep relaxation offers the perfect tonic to anxiety and fatigue often caused by an imbalance of the Earth element. Cancellation Policy: If cancelling with a weeks notice a full refund will be given. If cancelling with less than a weeks notice a refund will be given subject to a replacing student being found by either party.